Published on April 21, 2011 in Africa, General T&T, India, Media, Opposition Party, Parliament, People's Partnership, PNM, Politics, Race and Identity and Racism Watch. 15 Comments Tags: Anand Ramlogan, Attorney General, Basdeo Panday, Jack Warner, Keith Rowley, Nizam Mohammed, Politics, T&T Govt. The People’s Partnership has achieved better ethnic balance in the appointments of boards, Works Minister Jack Warner stated yesterday. 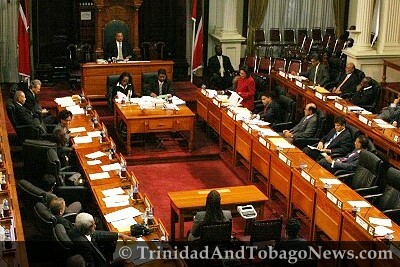 He was speaking in the House of Representatives on the motion filed by Dr Keith Rowley, asking the House to reaffirm its collective commitment to the principles of fairness and meritocracy in public affairs in the light of the “reckless and divisive statements” made by the former Police Service Commission chairman Nizam Mohammed.